Do you actually remember what it was like last year? The year before? Any year since you were born? It's Summer. An Australian Summer. Here in Adelaide we have already had 41 plus temperatures. Today it's going to be 39 - allowing me to be sure of getting my Winter dressing gown dry, on the line, naturally. Perfectly normal for this country. There might well be changes in climate at the moment - after all, climate change has been occurring for thousands of years; the forecast is for a cold change next. The fact is, even the smartest of people forget what previous weather patterns occurred, particularly when they are sweltering at the present time. The constant BS in the media, and TV images of harmless steam from factory chimneys being falsely promoted as 'pollution' makes people 'imagine' that they are feeling hotter than ever. Psychological warfare by the hysterics. We had a 46 degree heatwave here in Melbourne recently. lane. The front-door-bell of our house stopped working. Then Sydney touched 47.3 during a week-end heatwave. How about the chooks? Off laying, are they. Your car breakdown is more likely to be lack of maintenance than hot weather. Still got the old Statesman? The door bell - now that's a mystery. Too that as the heat and cold, both part of projected climate change, is as recorded higher than the past? Tell me, or try to, it is not man made. the above should actually read too long in airconditioned institutions. I did a bit of searching on the web. temperatures are projected to continue increasing." extremity of fire events, as well as fire danger days." inaction regarding climate change is likely to wear thin. "So yes mate, it is hot, but nothing we haven't had before." This year's highest November temperature in your neck of the woods this year was only 7th highest since the station's records starting from the mid 50s. It was in 2016 that all November records for 60 years were smashed with a 38.6 degree day. That wasn't all. In the same year the both June and July took out the highest records for each particular month as well. And then last year January, March and September also blew away previous records from the last 6 decades. So the previous two years saw six of the highest temperatures recorded in a particular month since records began at the weather station. Apparently nothing to worry about really. Gotta say I love you mate. You really do cheer up a bloke's day. relax Steelie. Getting hot under the collar on the basis of propaganda is a waste of time. Well matey if we compare the propaganda exposed in a 1900 year old book to hard temperature data from a reputable government agency I know which one most people would put their houses on. Come on steely, you don't really believe that garbage do you. With the number of "CORRECTIONS" the BOM have made to the old temperature record, the reports in papers of the time, & the now BOM record have no similarity in the temperature recorded. It is no figment of someone's imagine, like BOM statements, that they had to run trains to evacuate Broken Hill in 1896 due to the temperatures not experienced since. Of course the BOM have wiped that from their reporting, just so simple idiots can believe the crap you appear to believe. "Propaganda" is the word: spread by the the Left and main stream media to produce mass hysteria. The earth used to be flat; some people were witches who had to be burnt; gods were made of stone etc. etc. It is working now has well as it did centuries ago. Now there the average IQ is also dropping, so it can only get worse. I don't know if I will live long enough to see what happens when all the money that the lunatics have ripped of us, all the lies that they have told, finally prove to be bullshite. Perhaps people will return to burning the fraudsters at the stake. I would love to see that. "Man made or not it is changing"
The current temperatures aren't really exceptional and are to some extent man-made in that they reflect the way the temperature record has been manipulated to make the past records colder. Add that to the changed methods of recording maximums and there's little doubt that our current record highs aren't anything of the sort. We know that temperatures over the past 12000 years have often been higher, and sometimes significantly higher, than at present. Somehow species and humans survived those times. (yes even without A/C!!). Indeed civilisation usually thrived in those times. Even more strangely, they didn't fret about the higher temperatures - perhaps they enjoyed the better growing conditions or perhaps they had other more important things to worry about. Its only first world catastrophists who seem to be concerned. Even the IPCC & other warmists do admit that CO2 can't cause any runaway warming. They have to use some invented feedback mechanism to be able to claim any problem exists. Isn't it strange that a degree or so of current warming is going to stimulate these imagined feedback mechanisms, when many degrees higher temperatures did not do it in the past. In fact higher temperatures have usually ended with either a full or little ice age. Don't throw out your long underwear just yet folks, you are going to need it if those pesky sun spots don't come back with a big bang. These clowns having to keep laying layers of bulldust on their original garbage to try to sustain their scam. See in my new post, even China is waking up, & ignoring the scammers. Just a thought HASBEEN are you prepared to understand your post looks like a self description? Oh dear Steelie you Marxist types have always hated truth. No wonder the lack of morality produces such a ridiculous religion such as gw. Belly my post is straight simple facts. If you can't see that it is little wonder you can't see when you are being ripped off & used by your party, & the scammers. If the weather people (BOM) are so good at predicting what will happen in a few years why are they not able to predict the weather with 100% accuracy in day in advance? Well Belly, in this thread you're the only one who has used the words 'hoax' and 'conspiracy'. We see this with many of those who have just bought the scare without themselves having looked into or understood it to any real extent. Such people can't real discuss the minutia of the issues so rely on building straw-men to participate. Cry 'hoax', 'conspiracy', 'denier'...anything to avoid having to discuss ECS, Milanovitch cycles, sun spots or any of the other important issues in the climate debate. I will repeat what I have said a few times previously. warming that the models predict. Regarding oil. Crude oil production peaked in 2005.
financiers on Wall Street uneasy. Profits are indeed rare. "Sweet spots" are not repeated in adjacent areas. Areas outside the US have not attracted much interest. The Coober Peady project did not go ahead. Coal, except Australia, is facing declining reserves and increasing costs. Australia has exchanged the sheep's back for coal mining. It is going to take a genius to negotiate the future. The problem is not global warming but energy. Based on what research, evidence? I read the science of global warming, that which I understand anyway. they say coal is finished, but they say it for the wrong reasons. have talked about the predicament of tight oil companies. They have never had good profits and they have been described as a Ponzi scheme. You may have noticed that BHP among others have got out of that business. has fallen. Coal has just become uncompetitive in their markets. and operates in disregard to AGW. I put the following on the COP24 thread. No replies yet. I thought the somewhat different people here may be able to enlighten me. reductions on CO2 has to apply to agriculture and transport as well. That so far it has only been considered with electricity generation. sheep herds by 45% also ? If so we could eat our way through those numbers. The farmers will have to cut their diesel machine use by 45% also. by 45% or 26% if Labour loses the election ? if we do not apply it to the human herd as well ! trucks and your and my cars. Our electricity also ? denied it. I think, but not sure, that he said it in parliament also. When I pointed out to Belly that, while he was decrying the claims of hoax and conspiracy vis a vis AGW, he was the only one using those terms, he responded with...well I'm not sure what.But it had nothing to do with my observation. On the other hand, I'm beginning to wonder if Belly is a parody account. He wrote "you do not have the ability, any ability, to think or talk clearly". Surely that has to be irony. No one can be that extrospective. Oh, good to see there are some Peak Crude Oilers about. Although in the past they were Peak Oilers, up until they got smacked around the head by reality. The trouble with all these predictions is that they fail to take account of advancements. They always assume that nothing will change and that, therefore, we'll run out of this or that. But we never, ever do. We've been told we'd run out of coal since the 1880s. Back in 1930 we were told we'd run out of oil in 10 years. Carter said we'd run out by 2000 and Fraser imposed taxes to try to prolong our supplies. But all those predictions were wrong. And they're still wrong. Because we keep finding more oil and coal and we keep finding new ways to get at it. BP recently calculated that, given known reserves and current usage, we've got enough coal for another 184 yrs. Back in 1980 based on usage at that time and recoverable reserves at that time, we had about 80 years of reserves. Since then, usage has increased by 61% but known recoverable reserves have increase much faster and we now have 120 yrs of supplies. Its hard to believe people still fall for this. "There is not enough economically available fossil fuels to cause the warming that the models predict." Well I'd like to see the calculations on that. CO2 levels are currently around 410ppm up from 280ppm in 1850. The IPCC's RCP4.5 model predicts a CO2 level of around 560ppm by 2100AD. Can you show me how much fossil fuel needs to be burned to get there (560ppm) and why we don't have that much said fuel? So I presume Ismise you have not heard of Energy Return on Energy Invested. That is why there has been a drought of investment in oil search & development. Tight oil gave us 10 year grace but that is ending. Bazz it will only take a bit of a ruckus in the South China sea, even with no shooting for us to be out of liquid fuels. No tanker shipping will be interested in sailing from Singapore to Oz. At the same time, we would have lots of gas from the northwest shelf, again no gas ships will be interested in their current destinations either. I don't know how quickly we could convert to gas, but much too long for the millions who depend on trucks delivering their food to supermarkets. I'm not sure the country would survive if oil stopped coming. We do have huge reserves of shale oil in places like Rundle, & much larger in the middle of the country. Again I'm not sure we would have the ability to harvest or refine it in a serious oil shortage. My information is we have a couple of hundred years of coal at least. My son assures me we have the ability & capacity to build suitable steam locomotives that could be coal or oil fired, but even with a full rail transport system, our cities are uninhabitable without road transport & lots of it to supply food. Anyone who thinks we could reduce road transport by even 30% & feed our city folk have simply no idea of how our food distribution works. Anything like Global Warming is likely to be the least of our worries. prepare Displans for just the disasters you describe. The reason, it is a matter to be handled Federally. I did raise the matter but was "told" ! while ever the coal still gets to the power stations. You would be surprised at just who thinks it won't be a problem. digging a vegetable patch. Likewise the state governments. The only real authority will be local government so there should be a plan. Sydney delivering parcels to the parcel offices at each station. That could be reinstated to distribute food. If the electricity supply disappeared, then goodbye. Belly you told me of my post regarding academic & IPCC use of "tipping points" to get CO2 to produce enough heat to matter "Just a thought HASBEEN are you prepared to understand your post looks like a self description?". With that post you proved that you don't know anything al all about the Global warming scam, & are just parroting the garbage from academia & the left. In fact you make a fool of yourself every time you post on the subject. higher temperatures than are actually occurring. Mind you we are only talking about a degree C or so difference. I really do not worry about it except to rattle my daughter in law's chain. It seems your mate Bazz believes in the science of global warming just not its projected extent. Is he too participating in a scam? Steele, scam, now what are you saying ? A very odd thing to say. OK Belly, read the link. of course everyone does not all use Saudi crude only. I was surprised myself when I read the link. Saudi produces around 10,000,000 a day. The rate declines and may take 200 years at 1 or 2 barrels a day. It all depends on what other oil fields can produce. A further problem is how much water comes up with it. other wells to increase the pressure. I will get you paged at Wyong and meet in the upstairs lounge. Got the decimal place wrong, it is 73 years. Aaaarrgghhh again, I must be getting tired or something. he rate declines and may take 200 years at 1 or 2 barrels a day. he rate declines and may take 200 years at 1000 or 2000 barrels a day. Zero on 6 & 10 here today. Lousy sky stick. Coal in 1900 = 80 in 2016 approx 8 to 10"
Utter rubbish. Current EROI for coal is somewhere around 40, up from 30 in the early 1950s. Current EROI for oil approx 20. Somewhat lower for shale oil. But what any of that's got to do with your original assertion that "There is not enough economically available fossil fuels to cause the warming that the models predict" is is unclear to me and, I suspect, unclear to you. If we start to run out of these resources their price will go up which will both increase the EROI and increase supply. Economics 101. Peak oilers always ignore economics 101. Oh and Bazz, that you didn't even attempt to address the issue as to how much fossil fuel we need to burn to get to the levels predicted by the models tells me that you haven't got the faintest idea. "How did so many like me who believe the science get it so wrong"
Here's a point I made a while back pointing out that there is all sorts of "the science" and that others who disagree with him also follow "the science". When I made this point last time, Belly suddenly disappeared from the thread. I wonder what he'll do this time? This and many other papers are saying there is barely any discernible affect on temperatures from CO2. Do you accept the science? If not why not? And on what basis do you describe people who do accept this science as 'deniers'?" Have you considered dropping it? No belly, I'll continue to point out your cant and utter inability to engage in any scrutiny of your views, such as they are. Follow the science? - you can't follow something you utterly misunderstand. Mhaze, I never mention EROI ! that something you say today will be history tomorrow. Do you have a good source of oil statistics ? Mine are getting old. Belly Quote "We, in our lifetimes have seen massive changes"
At least say what these massive changes are. Belly Your ignorance defies logic. Why ask? come on now it is there in front of you your question must look silly, even to you"
If you had an ounce of intelligence you would have known I was not in the same time zone as you and I can assure you of one thing I do not sit at my computer in anticipation of receiving a reply from you. Your ignorance is also demonstrated here on this thread YOU started giving it the title of "Man made or not it is changing"
YOU state "We, in our lifetimes have seen massive changes"
One would expect you to keep to subject and these massive changes would be something to do with climate change, not the rubbish changes you came back with as examples, try sticking to the subject. Damn fraudsters have found a way to make this weather seem to prove the point"
THE UK will be hit by a wall of snow as temperatures plunge on Wednesday, leaving no part of Britain out of the freezing weather. Temperatures will fall more than 10C as winds bring the wintry weather to the British Isles. Yes Philip S the cold sweeping Europe & much of the US is even more extreme than the hot we are experiences. However I am sure you will agree that this in both areas is weather, not climate. If it continues for a few more years of course it will become climate. NASA had released their temperature figures showing the planet has cooled 0.5C over the last 2 years. Again this is weather, & to be expected following a couple of El Nino years. Pity we can't get a rational response from the warmists, who will rant on about the temperature in their kitchen over a few days, rather than the planet over years. Hasbeen Quote "I am sure you will agree that this in both areas is weather, not climate." But to the GW scammers. If it is too hot that is because of climate change, but they also say if it is too cold that is climate change. If it is too wet that is because of climate change, but they also say if it is too dry that is climate change. Everything is caused by climate change that is why they changed it from global warming, it was too limited in its scope. Belly Quote "No answer PS? Why ask?" I can see where you are coming from Belly. the atmosphere holds more heat. No argument there. cause a significant rise in world temperatures. atmosphere is to increased co2. satellite, rather than greater temperature rise. 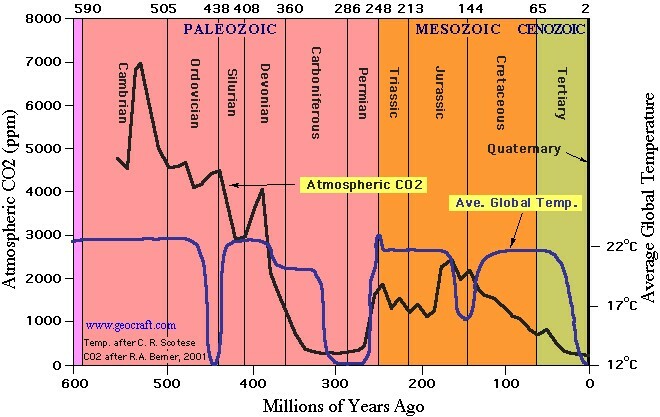 significant and what is the ratio of natural increase and man generated co2. that the models sensitivity parameter is set to a too high a level. That in a nutshell is how I see the argument. We are just spectators in this game and we hope the pollies do not over react. Reasonably put so let's see if I can respond in kind. Well the basic principle you have already spoken of says it will have a significant impact in and of itself however there are arguments as to why this might be mitigated by other factors. None of course have been substantially proven. Indeed and only fully resolved by what ends up happening on the ground. As it stands the predictions, particularly from advanced modelling have been pretty spot on giving greater confidence in mapping future scenarios. The question becomes do we have a duty of care to future generations to act now or ask them to live with our mess. Well no since the oceans are also taking up CO2 but in the end it is the atmospheric CO2 which is the issue and it is increasing rapidly. Well yes it is and in the face of a stunning lack of evidence for another significant source, plus the fact that calculations on fossil fuel consumption along with its related CO2 output closely concur with the measurements we are getting, then the conclusion that the vast bulk of the increase is 'man generated' is legitimate. My fear is not that politicians will over react but rather they will as usual under-perform. Belly Quote "No science needed here just walk out the door"
** Absolutely stupid analyses or should I say lack of it. If the fact today is very hot outside proves climate change is real how do you explain a few days ago when it was cooler and also in a few days when it gets cooler, the weather cycles. Here is your argument for winter I predict you will say. There are a few problems with the idea that more CO2 in the air will increase the amount of long wave radiation absorbed. 1/- CO2 can only absorb a very narrow band of radiation, & the current level of CO2 is absorbing 97% of what is being radiated from earth. 2/- CO2 displaces water vapour from the atmosphere. As water vapour is a much more efficient greenhouse gas than CO2 it actually reduces green house effect. 3/- The effect of CO2 is logarithmic, thus any increase in CO2 has a very rapidly decreasing effect, proved by the lack of heating despite rapidly increasing CO2 levels. 4/- CO2 increases the effective convection rate in the atmosphere, thus increasing the cooling. The math on this one was too heavy for me, so I have no personal opinion on it. 5/- There is enough long wave radiation coming in from the sun to fill many times over, the absorption capacity of all the CO2 in the atmosphere. Higher interception of this radiation expels it from our atmosphere more quickly than surface absorption, so cooling the planet. 6/- Ice core examination show that the level of CO2 in the atmosphere was 4 times the current level during some periods of the ice ages. We are already way past any heating effect of CO2, & no matter how much we burn carbon, it will not stop the coming cold from a cooling sun, as indicated by the lack of sun spots. "With a little bit of luck, just a little bit of luck" there will be snowballs at Christmas 2025 in Melbourne to throw at Steely & his mates. that the models sensitivity parameter is set to a too high a level." " it (CO2)will have a significant impact in and of itself"
Define significant. someone might think that 3c is significant but we'll only get 1c. Someone else might think 1c is significant but we'll get 3c. 'Significant' is one of those weaselly words used as a substitute for "I've got no idea". "advanced modelling have been pretty spot "
" CO2 which is the issue and it is increasing rapidly." "there will be snowballs at Christmas 2025 in Melbourne"
No that can't be right. Don''t you know that "THE SCIENCE" decided that snow was a thing of the past...( http://dailycaller.com/2014/03/04/top-5-failed-snow-free-and-ice-free-predictions/) and as we all know, the science is settled. QED. exactly where we are on the saturation curve. work out whether there is more to come or it is all over red rover ! it might be hard to decide where we are. Like the fact science is being used, maybe abused? The strongest evidence for global warming is the rising sea level. What I have trouble comprehending is how anyone can think they can model the earth and accurately predict how things will be in fifty years time. That is totally crazy. Even crazier is thinking that the solution to a crazy prediction is to destroy the economy presently. Looking at the world it is apparent to me that bad governments are far more devastating, the consequences evident without need for swallowing a fifty year forecast. The longer this debate goes on, the more I see sense in commentators like Bjorn Lomborg. There are many real problems that need solving. Prosperous countries will be more likely to find solutions to these problems. The thought of destroying our prosperity to solve an imaginary problem does my head in. Fester, sea level change is contrary to global warming theory. exactly, are smaller and the rest are unchanged. The sea level change is about 1mm a year. continent is sinking or rising in places. All in all not much use. Fester Go and find photos of Fort Denison in Sydney Harbour from 1885 & 1930 & 2016 in 131 years the sea level has only risen 6.5cm. Bazz The sea rise at Fort Denison is just over 0.50mm per year since 1885. Measuring sea level on a global scale is complicated. Were continents fixed in place an unchanging measurement would be more meaningful, but they are moving. The satellite measurements have shown a rising trend since the early 1990s, but there is no indication that the rate is accelerating. I have no problem with the science, it is just that I think the long term extrapolations are so so far beyond its capabilities as to be meaningless. Far better to put resources toward solving the problems that exist. "Measuring sea level on a global scale is complicated." Not just complicated. Effectively impossible. Tides and winds affect sea levels. Great movements of currents over centuries affect it also. Since none of these are well understood, determining their effect on measured sea levels is impossible. Recently a great body of very cold water has been found at the bottom of the Pacific. It's postulated that it was cooled during the Little Ice age and remains to this day. Its effects on Pacific currents and sea levels is entirely unknown and will be studied for years, if not decades. Add to that issues like Continental Tilt and the problem becomes enormous. For example it is reasonably certain that Australia is tilting north-south ie the north is slowly sinking as we travel north which means that the south is slowly rising. How much, how consistent and for how long, no one knows. But that it effects tidal-gauge readings is certain. In Europe there are issues about Continental Rebound where land masses rise following the retreat of the ice sheets at during the Holocene. In Hobart there's a gauge that shows sea levels falling dramatically over the past 170 yrs. One explanation is that the southern part of the continent is rising much quicker than currently thought. Another is that wind patterns have changed over the century. Additional problems resolve around changing gravitational pulls and a myriad other issues. All of which leads to the conclusion that claiming to be able to measure to with a millimetre or two is somewhat heroic. No Belly, we are exposing the fraud that is global warming, using science. For god sake do a little research other than in lefty propaganda rags & get some knowledge on the science. Look at the utter garbage that academia is continually handing out to try to support the scam that is paying their wages. Do you really think so much bulldust would be published if they had any actual evidence to support their case. Don't forget all the giant waves that the altimeter is surveying. That is why measurement over short periods is inaccurate. Over longer time frames and with data from many sources the error decreases. What concerns me is the idea that we should be solving a problem predicted from a scientifically invalid extrapolation. Further, the means of solving the imaginary problem involves destroying our economy and handing over vast sums of money to badly run countries (Trump has a good epithet for them). Attacking scientists is shooting the messenger. The issue of climate change has been hijacked by the left as a means of vilifying capitalism. I cannot see an outcome that would end better than any other socialist experiment. I share your concern for plastic waste, but go back fifty years and where were all the predictions of the problem we have today? The introduction of plastic was seen as a great innovation that would save the forests among other benefits. Life would be much easier with a crystal ball. I think it would be better to use scientific endeavour to solve such problems instead of destroying the present to prevent an imagined future catastrophe. Gee Belly this absolutely demolishes your statement about the temperatures "No science needed here just walk out the door"
Since you are cutting and pasting to various threads allow me. Sorry mate only just saw your reply. Naturally what you put is demostrably false and more than happy to go through them if you wanted to in more detail. Just pick one and we will start there. But one assertion you made I hadn't heard before. And NASA holds a different view too it seems. Rather than waste anymore time on something you may have got wrong I'm wondering where you might have got your information from as it seems contrary to the science. But do you think I should not, as you do, take verbal combat back to its original staring point? anyone counted up all the deaths in Europe lately as a result of the extreme cold that the warmist said 10 years ago was not going to happen. The egg on face must stink by now. "Stratospheric water vapor concentrations decreased by about 10% after the year 2000." Some have suggested this might be one reason for the hiatus in temperatures that occurred in two decades up to 2013. We both know the term hiatus was a misnomer and only had any sort of currency if 1998 wasn't taken as the outlier it really was. But you are correct there was a drop in stratospheric water vapour concentrations through a part of the 2000s. There was another before then around 1996 and one after around 2004. These thing appear over the years as waves but as you can see from the Boulder, Colorado data each subsequent peak is higher than the previous and I have little doubt the current rise we are experiencing will peak higher than any before. I know there is a real temptation to highlight these things when they occur but you do end up with egg on your faces when the smoothed trends keep right on heading the way they were expected to given the science. SteeleRedux Quote "Firstly Belly was not looking to counter 'these records'. You only just posted them." You are right, Belly was not looking to counter them, he is more than likely not even aware of them BUT he made an absolutely stupid statement Quote "No science needed here just walk out the door" the statement about the temperature trends did not back up his stupid statement. So you would prefer to take this statement "No science needed here just walk out the door" as proof of GW rather than figures that tend to show the temperature can fluctuate up and down. The current higher than usual temperature do not categorically prove GW as Belly implies. Belly won't answer it so you answer it using his stupid statement as a basis for your reply. Quote "Since you are cutting and pasting to various threads allow me." Wrong again I put it on the other thread first then it was appropriate here as well in retort to Belly's rubbish statement. The one he can't even defend he need you to do that. TRUTH is the most important measure not insults"
got to 39, only 40 ks away at coast it was 32 inland? 47.5! "We both know the term hiatus was a misnomer and only had any sort of currency if 1998 wasn't taken as the outlier it really was." Well that's disappointing. A while back I set out to educate you about the pause and I'd thought that you finally got it although you did go away in a huff. But now you've reverted. I'll leave you to go back and re-read that thread as a refresher coarse. But just for clarification the pause(hiatus) was real, world-wide, shown in all the temperature data sets, acknowledged by most climate scientists, and had nowt to do with 1998. "but as you can see from the Boulder,"
1. Boulder isn't the world. 2. These same people gather data from other sites but only plot one. Ask yourself why. Check the unplotted data they show on their page for, say, NZ to find the answer. 3. The changes are minute and only look big to the uninitiated because of the carefully chosen 'y'-axis points. Irrespective, the fact is that water vapour levels fell at the same time as temperature levels plateaued. Things changed before and after that. Things always change although that concept seems to rather difficult for some to gather. He doesn't like you all that much. Mate that balloon got popped years ago and you are still hanging on to it like grim death. Please show me a single reputable climate scientist who believes there was a “hiatus in temperatures that occurred in two decades up to 2013”. I'm not sure what you see in the NZ data but are you really saying it supports Hasbeen's contention, one that you tried to defend, that “CO2 displaces water vapour from the atmosphere. As water vapour is a much more efficient greenhouse gas than CO2 it actually reduces green house effect.”? There is an air con unit (window type) that is surplus to my needs now I bought a new unit (quiet) that you can have free if you want. It works well and I replaced it because the fan is a bit noisy. Was intending to put it out on gutter with sign saying 'free' but if you want it I will keep for you. I don't like to toss stuff if someone can make use of it. I'm about 3 hrs North of Brisbane. Thanks but far too far away,7 hours to border and I am a lead foot. SteeleRedux Quote "He doesn't like you all that much." I am not the only one who often does not understand him. Just to add a bit of confusion. Belly I accept your hot link and call you with one for being too cold. Y'all get that when it's our summer it's winter up north, right? Admittedly individual daily temperatures fall more into the weather category rather than the climate one but how on earth do you think a vigorous cold spell in England compares to the all time Australian minimum record reported in Belly's link? It doesn't and it is churlish of you to attempt any comparison. "Mate that balloon got popped years ago and you are still hanging on to it like grim death." I see you're as up-to-date on this as with most other things. Just because you don't see it in whatever media you choose to believe doesn't mean its gone away. Hedemann et 2017...http://www.nature.com/articles/nclimate3274 (paywalled but the abstract gives a flavour). Plenty of other examples if you care to look. "Please show me a single reputable climate scientist"
"On 20 June 2013 Storch stated "So far, no one has been able to provide a compelling answer to why climate change seems to be taking a break. We're facing a puzzle. Recent CO2 emissions have actually risen even more steeply than we feared. As a result, according to most climate models, we should have seen temperatures rise by around 0.25 degrees Celsius (0.45 degrees Fahrenheit) over the past 10 years. That hasn't happened. In fact, the increase over the last 15 years was just 0.06 degrees Celsius (0.11 degrees Fahrenheit) -- a value very close to zero. This is a serious scientific problem that the Intergovernmental Panel on Climate Change (IPCC) will have to confront when it presents its next Assessment Report late next year." BTW Storch is also a defender of Donald Duck against accusations of indecency .
" one that you tried to defend, that “CO2 displaces water vapour from the atmosphere"
I wasn't trying to defend that claim but to show that your claim (via quote) that "as surface temperature increases, so does atmospheric humidity", doesn't always hold true. "Y'all get that when it's our summer it's winter up north, right?" Show me one reputable scientist who would support such a notion. FYG I travelled from Sydney NORTH to Newcastle t'other day. They were both 'enjoying' summer. I challenged you to “please show me a single reputable climate scientist who believes there was a “hiatus in temperatures that occurred in two decades up to 2013”. You first like spoke of 10 year 'hiatus'. You second speaks of a 14 year 'slow down' in the rate of increase and your third which you pasted speaks of 15 years and doesn't use the word hiatus at all. None speak of 20 years or 2 decades as you claimed. Have you got anything which will substantiate your claim or was it yet again a bit of exaggerated nonsense? Well we've gone from "that balloon got popped" (ie no hiatus) to some sort of grudging acceptance that a pause of indeterminate years occurred. Some progress at least. But now you want to try to redirect to some issue over exactitude so as to not look completely wrong. When I said 'two decades' I was being deliberately vague. If I meant 20 years, I'd have said 20 years. Its not possible to be exact on this issue. Last time we talked about this you ridiculed the idea that there could be multiple starts and ends for the pause. I thought I'd educated you on that point.... but clearly not. There are literally 10s of 1000s of potential pause start and end dates. Just taking 1995 for example, there are over 12000 potential trend lines that could be drawn from 2005 through to 2018 just using the 6 most accepted climate records. Each scientist will prefer to use their own favoured record set and determine their own start end dates. But most now accept that a pause of some period happened which started at some time in the 90s and ended at some time in the years around 2013. Sure there are some who continue to dispute it (the whole so-called Pausebuster data set was developed to give them some cover). You do this every time that you realise you're headed down the garden path - try to redirect to specifics to hide the fact that you got the general issue all wrong. But if I were ( grin!) I'd suggest you look at the period Sept 1994 to Sept 2017 using UAHv6.0 as a primer. Nope. Where have you dragged that idea from? Yet in our earlier exchanges which you keep referring to you said this. I think you very much said and meant 2 decades as in 20 years. As for the trend line over the dates you mentioned here it is. "Nope. Where have you dragged that idea from?" "I think you very much said and meant 2 decades as in 20 years." So let me get this straight. A couple of years ago I said that their hadn't been a 20 year hiatus. And from that you deduce that I'm now saying there has been a 20 year hiatus even though I didn't mention 20 years?? I'm constantly fascinated with your willingness to beclown yourself rather than just accept you got it wrong. As to the graph you link, might I point out that it graphs all the way back to 1975. If you look at the data behind the trend line it shows the trend to be 0.0940739 per decade. If you do the confidence intervals for that (no that's way to complicated for this class!!) you'll see that its ±0.133 °C/decade (2 sigma) (Editor won't reproduce the sigma symbol). As I explained way back, and above, that means there's no statistically significant trend and therefore a pause. BTW 0.0940739 per decade means less than 1c warming per century. Hardly reason to go into chicken little mode. In case you misunderstand, I'm not saying that proves a pause. Its just one data point in many thousands. But when you have many thousands of such data points, you get evidence that most of the climate community accepts. Hiatus means pause or a break, it doesn't mean still increasing but at less of a rate. You show me a positive trend line but put to me it isn't sufficient to say it was statistically significant. From that you claim it can't be absolutely concluded global warming did occur because the margin of error is too large. This CSIRO study came out about a month ago. As a layman I can either take your version of the veracity of a pause or these guys. Why should I take yours? Dear oh dear...this just gets more embarrassing. Trend lines and temperature data are all about statistics. There are margins of error caused by a myriad of things including the imprecision of measurement. The list is way to great to discuss here. I did see a good summary a while back....I'll try to find it. The upshot is that there is an inbuilt uncertainty in the data. This was beautifully exemplified back in 2015 when NASA reluctantly confirmed that, even though they'd declared 2014 to be the hottest year ever, they were only 38% sure of that due to inherent inaccuracy in the data. The same occurs with these trend lines. If the trend line is +1 but the uncertainty is ±1.2 then all that can be said with any certainty is that the trend is between -0.2 and +2.2 and both of those are equally likely. Thus a pause. There's no real doubt here. Most of the climate community accepts it and 1000s of scientists are working on studying it, its cause and the ramifications of the pause on models. Because it the models that are the issue here. Nowhere have I said that the pause disproves AGW. NOWHERE. But since none of the models predicted a pause of this duration, it means that they are shown to be faulty. That was the purpose of the Storch quote above. So researchers need to work out why the models missed this possibility and how to remedy them. That will almost certainly mean that the new, fixed, models will come out and show a lower predicted increase. Every time the models are 'fixed' the purported temperatures decrease. That's the importance of the pause. "the two thousand or so scientists who worked on the IPCC's AR5 thought there was pause and they wrote extensively about it.. The myriad climate modellers who are trying to work out why their models showed significant warming since 2000 when no such warming is in the record, are clearly dills.."
"This CSIRO study came out about a month ago." This is not NOT NOT a CSIRO study. I don't know how you screwed that up but ...wow. This is a paper written by a group of well know statistic manipulators who are trying to give some degree of cover to people such as yourself who are clueless in regards to statistical method but SO very much want the pause to disappear. Now I haven't analysed the whole paper but I couldn't find the money shot where they prove the statistics are wrong. They just use their normal tricks to try to give a veneer of scholarship to utter rubbish. Oh, and did I mention its not a CSIRO study? The give away is that the authors include Lewandowsky and Oreskes. Lewandowsky is an Australian psychologist who converted a so-so career in psychology into stardom in climate by making up stories the alarmists wanted to hear. The best and most laughable was his shonky survey of 1100 or so people concerning their beliefs in AGW and the moon landing. of the 1100 people 10 doubted the moon landing of which 3 also doubted AGW. From this he declared it proven that disbelief in the moon landing was linked to disbleief in AGW and that skeptics of one are also skeptics of the other. The statistical methods were laughable but also scary since so many turned a blind-eye to it and just accepted the results as published. I'll leave you to research Oreskes who is, if anything, even less reputable. That you'd rely on such a study is rather revealing. Yup, stuffed that one up. I had three studies I was looking at, one of them a CSIRO paper and I sloppily wrongly attributed the providence of the one I posted. My bad. My apologies to you and anyone left still reading the thread. I do find the changes in language informative though. Hiatus, pause and slowdown all have different connotations. You seem to have shifted from hiatus to the more circumspect pause. "Yup, stuffed that one up." This post should have a blue-check next to it. Its rare on these papers to see someone admit to an error. Normally they just disappear for a week or two.
" Hiatus, pause and slowdown all have different connotations." I use hiatus and pause interchangeably since that's what the climate community seems to do. Originally I used 'plateau' since pause/hiatus imply a stalling in the inevitably inexorable rise in temperatures which I didn't accept as necessarily true. Plateau offered the notion that the next move could be up or down. But pause/hiatus become the norm and using plateau meant having to explain my thinking each time. So I went with the flow. Please don't pile on here. Its rare that people in OLO admit error and it needs to be encouraged and lauded. Piling on is the opposite of that. "Consider a truth, every poll worth looking at, in the last five years, shows more want action on climate change than not"
Perhaps. But this is an issue of fact not popularity. I get that you are desperate to check the polls because you'd hate to find out that you're in the minority. A fate worse than death for our Belly. The problem is that when polled, people usually go with the feel-good response. But paying for it? That's another issue. Its OK if someone else pays for it or someone else suffers job losses. But when it affects them, then sudden their desire for " action on climate change " evaporates. France is being torn apart because the government decided to make people pay for their climate fantasies. Gillard/Brown believed the polls that people wanted " action on climate change". But when people realised that had to pay for their beloved " action on climate change" they suddenly decided it wasn't all that urgent after all. Belly, believe the polls because that's all you've got. But they are leading you down, what is for you, a well-worn garden path. Tell me that is not true"
I would tell you its not true...if I had the faintest idea what you were talking about. mhaze Respectfully I will not take your suggestion, people need to be held to account for what they say in regards to facts especially if it is wrong. If not called out how long would it be before a lot more people were doing it. If he has no regard for his credibility, by not answering that's his problem. He was called out not for an opinion but for trying to introduce false facts into a discussion. I don't mind you continuing your discussion and disagreement. To tell the truth, I haven't really followed it so can't judge error or not. But I'd prefer that you not piggy-back on another issue. That one is over and SR acted honourably. I think it should be left at that. I give up on you. You can't follow a logical argument. I agree that the polls probably rightfully show people's opinions in a narrow sense and you then assert that I think the polls are wrong. mhaze Quote "But I'd prefer that you not piggy-back on another issue. That one is over and SR acted honourably. I think it should be left at that." "Mate, those who make up the largest proportion of the gang issue in Melbourne are South Sudanese and are Christian for goodness sake." The statement is false in at least 3 ways. 1st The police do not ask what religion the person is when booking them, so where do you get your information? 2nd Your statement just defies reality, it would be like saying that all Italians are Catholic, ludicrous. 3rd Even if some of the parents are it does not automatically make the children the same. mhaze You also state "To tell the truth, I haven't really followed it so can't judge error or not." mhaze Quote "I'd prefer that you not piggy-back on another issue." This is an issue that should be of concern to all who post on here or read the comments here, INTEGRITY, can you believe what a person says. After the blatant lie he told with absolutely no evidence to back it up, you tell me what that says about him? To top it off he can't even defend his statement, just slithers away to hide on other threads. "Just how can you make the statement "SR acted honourably"
He acted honourably in regards to the specific issue he and I were discussing. mhaze What you made is a ambiguously worded comment, it implies he acted honorably in my issue with him. "But I'd prefer that you not piggy-back on another issue. That one is over and SR acted honourably. I think it should be left at that." "And blokes like Philip S will faithfully regurgitate my anti GW rantings as fact because that is what useful 'idiots' are for." Then we also have the this blatant lie. SteeleRedux Quote "Mate, those who make up the largest proportion of the gang issue in Melbourne are South Sudanese and are Christian for goodness sake." mhaze Quote "He acted honourably in regards to the specific issue he and I were discussing." That should have been used 1st. Good luck with and your new besty. Sir you may not be the best measure of integrity truth or understanding to put before OLO posters"
Time for you to put up or shut up, in 2,494 posts of mine show me two lies I have told. Surely at some level you know others have every right to an opinion? Belly Congratulations, I can on this occasion understand your comment. Quote "Philip it is not lies, never was"
** In that case why did you say this "Sir you may not be the best measure of integrity truth" ** You contradict yourself. Quote "it is content, heaps of content" Please show me in the rules where a person is not allowed to do that, bearing in mind before you put your foot in your mouth EVERY thread I have started has been approved by a moderator. I do not insult people who disagree with me. But I will insult people who insult me or attack me, something you do as well, so it is okay for you but not others. Belly You commented so you did not ignore it, your lack of ( fill in appropriate word ) defies logic.